This is a beautiful photo frame with 4 picture slots. It's got a lovely array of rectangular shapes, all fitting in nicely with each other and creating a unique shape. It also has a lovely heart in the middle with a happy message of 'Home Sweet Home'. 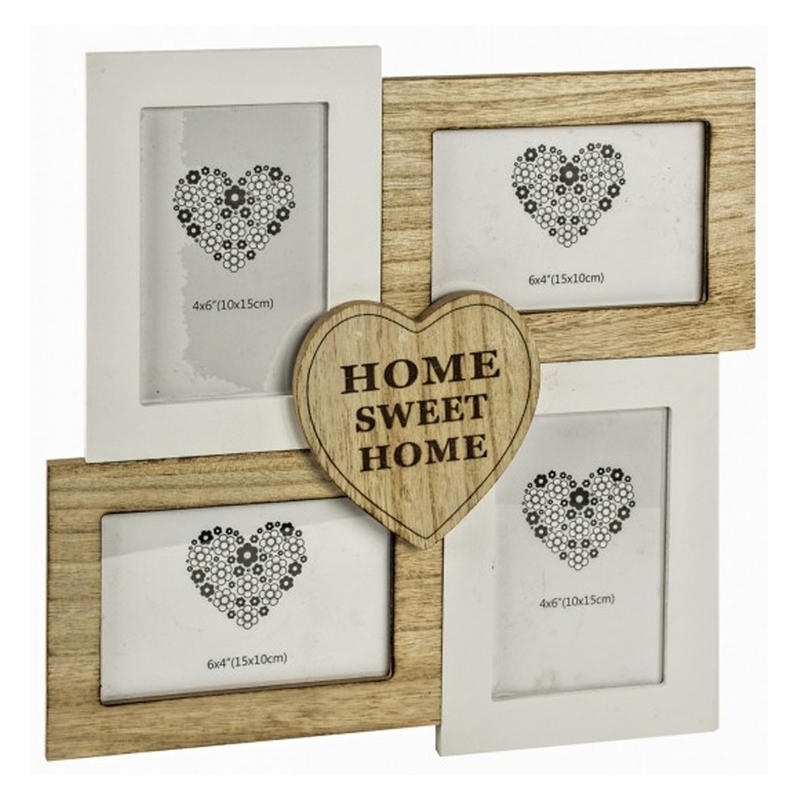 This photo frame is sure to create a positive atmosphere because of its calming, warming colours.